Ian Celeste is a lively boy with short brown hair and wide brown eyes, eager to explore his surroundings. 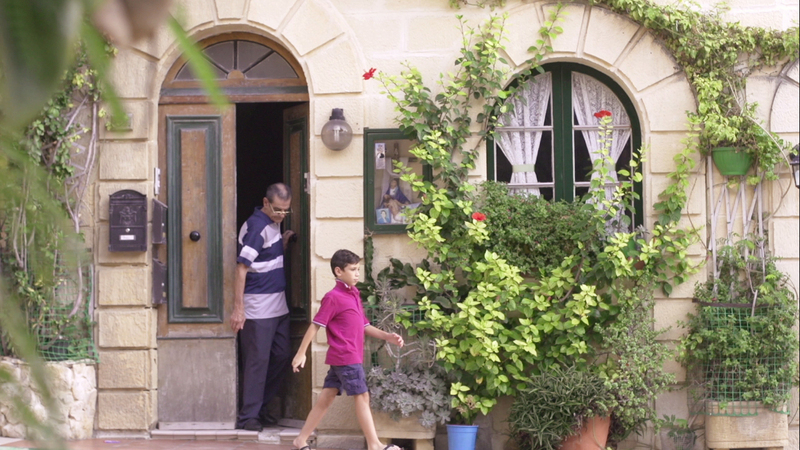 He is the also the boy featured in the Valletta 2018 video “Valletta is My Orchestra” who explores Valletta, accompanied by his grandfather Alfred Celeste. They walk past musicians and stop by shops and local businesses and while the grandfather chats with people, Ian takes in the sounds which give Valletta unique characteristics. Ian, a resident of Valletta, is 10 years old and attends the St George Preca – St Elmo Primary School. Like other children he goes to school in the morning, and once he gets home, works on his homework and studying till 4pm. On most days, after he finishes his homework, he goes to football training straight after and then plays some games on his Playstation console when he returns home. A lover of football and an excellent attacker and defender, Ian has football training every Saturday, Sunday, Wednesday and Thursday. He also holds Saint Dominic, the patron saint of astronomers, very close to his heart. He loves the San Duminku festa and regularly helps his father and other enthusiasts in preparing for the San Duminku Valletta parish festa or other occassions when the church is decorated for special occassions such as Notte Bianca, when an exhibition of statues from all over the island was held. He thoroughly enjoyed his experience of filming for the “Valletta is My Orchestra” video. The thing Ian loves most about his hometown is the architecture as he particularly likes Valletta buildings and houses. Asked whether he’d like to become a musician in the future like ‘future Ian’ in the video, he says he hasn’t yet made up his mind and that is a possibility but being a professional footballer seems to be high up on the list of professions of choice.